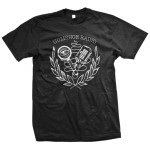 Want to win a sweet autographed prize from Gumshoe Radio??? 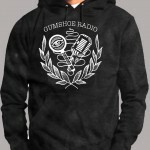 Alls you need to do to enter is purchase either the Gumshoe Radio T-shirt or Hoodie and your name will be entered to win an Autographed Guitar, Autographed *Used* Drum head or an Autographed Poster. So 3 lucky winners will get one of those cool prizes! Just purchase a T-shirt or Hoodie and your name is entered to WIN!